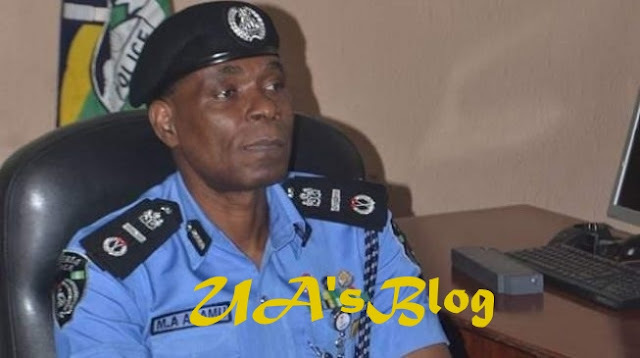 ANY police personnel caught in company of politicians or other categories of Very Important Personalities (VIPs) on election days will be prosecuted, Acting Inspector General of Police (IGP) Mohammed Adamu has warned. He said an Election Monitoring Investigative Team has been set up for the purpose of apprehending and prosecuting anyone found breaching electoral laws during and after the exercise. This came as a Senior Advocate of Nigeria (SAN), Femi Falana, canvassed for the creation of Electoral Offences Tribunal, if the country is truly desirous of addressing electoral malpractices and conducting free, fair and credible elections. Election Transition Monitoring Group (TMG) in conjunction with HEDA Resource Centre and others, said 4,000 observers will be deployed to every local government areas. Speaking at a public presentation of partnership by Transition Monitoring Group (TMG), HEDA Resource Centre and other partners for the coverage of the February and March general elections, the acting IG also said any police officer and security personnel attached to election centres, from polling booths to the collations centre that are not wearing identification tags should be immediately reported to the relevant security agencies. He said arrangements have been completed to secure the country even as the Police are keen to prove its non-partisanship having put in place and ready to implement the security strategies for a credible election to prove its unbiased stance. He said the police are determined to ensure maximum security for the electorates as well as electoral officials and their materials, urging local and foreign observers, as well as political parties to adhere strictly to the election guidelines as rolled out by the Independent National Electoral Commission (INEC). Falana, who chaired the event, regretted that lip service has always been paid to addressing electoral malpractices by successive governments. He said Electoral Offences Tribunal would provide an enduring solution to the recurring challenge. He said Nigeria has laws that can adequately address the electoral challenges, but the courts created loopholes for politicians to latch on since 1999, which was why no one has been prosecuted despite the many cases of monetary inducements being witnessed across the nation. Saying that rather than concentrate on apprehending vote buyers and sellers on election days, attention should be focused on pre-election breaches like excessive campaign funds; monies spent on decampees; monies spent on the media to make phony demographics that create psychological warfare on voters; monies spent on religious leaders like the over N5b allegedly spent in 2015; monies spent in hiring crowd at political rallies; monies spent on thugs hired to disrupt rallies; and monies given to electoral officers to manipulate figures. He regretted that beneficiaries of inducement of voters were completely insulated from indictment. He said: “If you want to challenge violation of Electoral Law, we are to go beyond those that’ll be arrested on the day of the election. Cooperation of the police and other security agencies is needed and it will be easy to arrest, but what to do with the suspects after is another thing. “Yes, there are Election Tribunals, but they won’t bother with electoral offences committed, it was not until the Second Republic that the tribunal recommends trial of offenders.